Gurnee, Ill.: Vanishing Press, 1969. Did Bryan Patterson (1909–1979) discover a living fossil in Africa? Was it possible that Tullimonstrum survived for millennia? Although E. Scumas Rory’s riveting Dancing worm of Turkana has been out–of–print for decades, the proprietor of Greenwood Road Books can recite this story from memory. 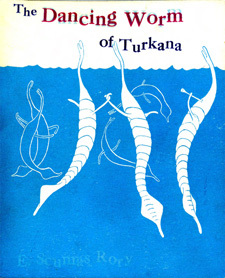 Some remember the Iliad, Odyssey, baseball statistics, or Bhagavad gita, Ed remembers the Dancing worm of Turkana. Go figure. He actually worked on the Vanishing Press, printing a few pages of this most famous volume. Edward is organizing a bibliography of Vanishing Press imprints. If you have any of these precious volumes printed by the Vanishing Press, contact him at your convenience. 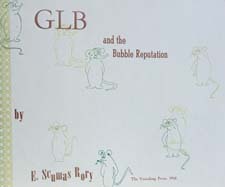 GLB and the bubble reputation. Gurnee, Ill.: Vanishing Press, 1966. Eugene S. Richardson, Jr. (1916–1983) was an active member, and eventual president, of the Caxton Club, a society of bibliophiles in Chicago. Russell MacFall (1903–1983) was Neighborhood News Editor at the Chicago Tribune until his retirement in 1968. Like Dr. Richardson, he had a wide variety of interests. 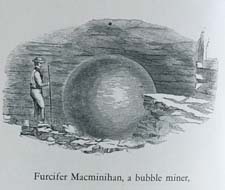 MacFall was an intense mineral collector, amassing a collection of several thousand specimens. Macfallite, a rare calcium manganese silicate from the Upper Peninsula of Michigan, is named after Russell. MacFall, in his retirement, wrote a number of books on fossils and minerals as well as studies on L. Frank Baum (1856–1919). 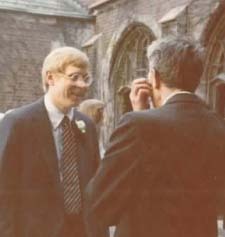 It is not surprising that Russell MacFall and Eugene Richardson memorably encountered each other at the Caxton Club. The letter is most telling thanks to its typography. In Dr. Richardson’s office at the Museum, there was a fantastic manual typewriter next to his desk. Dr. Richardson could easily change fonts on the typewriter, even to very exotic non-Roman characters. 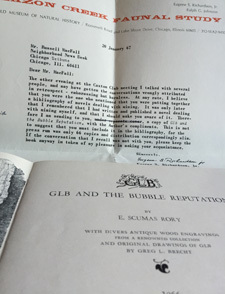 This letter to Russell exhibits the use of three fonts, one for most of the body of the document, with two other styles used in the salutation for the word Tribune and the title of the book Glb and the Bubble Reputation. I’ve often wondered about the fate of that typewriter. This letter is a grateful tug at memories of that office, filled with the scent of Amphora tobacco from a well-used pipe — encounters with the most remarkable and influential person in my life.